While riding trails and muddy areas, the right kind of tire can be the difference between making it through nearly anything and getting stuck. At Side By Side Stuff, we carry a variety of products to work on whatever terrain you drive. When you're stuck looking for tires, we offer all the best options. 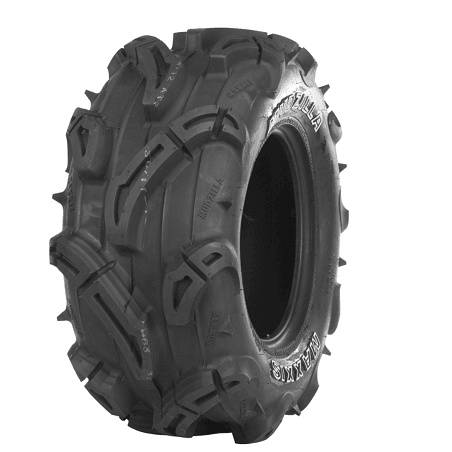 The Maxxis Mudzilla 6-Ply Tire is sure to never disappoint. Each one is designed with an aggressive look for the extreme conditions you want to drive through. The build in rim guard will help keep your wheel protected. The tread pattern was specifically designed and constructed with pyramid-shaped tread blocks and long biting lugs to enable the tire to flex more in mud accumulating areas. The tire's 6-ply structure was created with massive tread bars for maximum traction to keep you going!